Red Wheel ∕ Weiser Online Bookstore | Planetary Aspects: An Astrological Guide to Managing Your T-Square by Tracy Marks, M.A. A classic back in print, Planetary Aspects is one that every astrologer would choose on their shortlist for their own library and a great tool for all levels of astrological practice. This comprehensive work focuses on the most challenging dynamics of the birth chart. Originally published in 1987, it is recognized as a classic of modern astrology, and was the most highly rated book in the Astrology Book Club�s nationwide survey. The author presents powerful techniques for understanding and resolving the conflicts of planetary aspects, emphasizing the potential for growth and achievement involved in stressful aspects. The central theme of this book is the T-square configuration�a chart pattern that occurs periodically for everyone by transit, progression, or chart comparison. The T-square is a combination of planets, signs, and houses that suggests a pronounced strength or emphasis, as well as imbalance and deficiency. 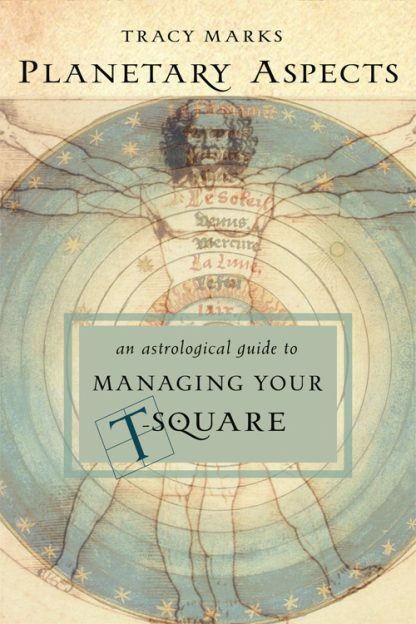 Planetary Aspects: An Astrological Guide to Managing Your T-Square is a discussion of the conflicts and harmonies of this important aspect, and a guide to understanding the crucial periods and challenges it presents.